3×3 size Word Craft Level 3 Answers Cheats Solutions – Spell the words by swiping your finder across the letters on the board of words to find ! If you’re stuck, then use help with using letter hint or category hint ! 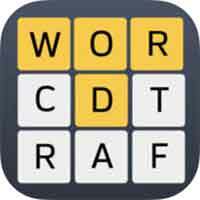 Word Craft is a word search game where you find the words in a letter grid. The game starts with 2×2 puzzles and continues until 7×7 puzzles. This Word Craft game will expand your word brain and make you a true word search master!